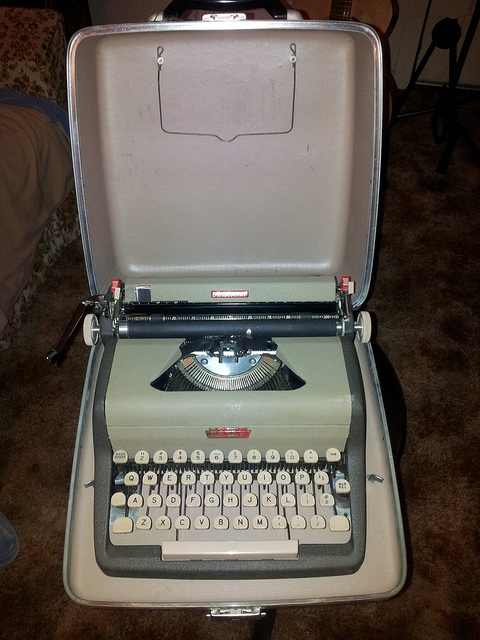 Truth is, I bought this typewriter thinking it was like the one I had back in my high school days. Upon closer inspection, it is not. Same logo, same case, but definitely not the same typewriter. Nevertheless, it is a delightful model: easy to type on and pleasing to the eye. Does need a little servicing though.